Tomorrow the Governing Body of Auckland Council will debate whether the Wards that make up the Governing Body (the main elected representative Body consisting of the Councillors, Deputy Mayor and Mayor) need their boundaries changed. This comes from the Local Government Act (Auckland Amendments) where Wards can only have a certain population before the boundary needs to be moved. The population is a fixed number and any Ward below or above 10% that fixed number is up for a boundary change. NOTE: Local Boards are not having their boundaries changed. As population growth is uneven in Auckland (check the City Centre, Manukau and Howick Wards) and the stupidity of a fixed number of Councillors (20 and thanks National) we are looking at some awkward changes to the boundaries rather than adding more Councillors to keep the Councillor to population ratio even. To resolve the council’s initial proposal for its representation arrangements at the 2019 elections, as required by section 19H of the Local Electoral Act 2001 (Act). Auckland Council’s representation arrangements must be reviewed this year. The outcome will apply at the 2019 elections and the 2022 elections (unless the council chooses to conduct another review for the 2022 elections). The process in the Act requires the council to make its initial proposal, by resolution, which is then publicly notified for submissions. After considering submissions, the council resolves its final proposal which is also publicly notified, with any appeals, objections and proposals that do not comply with the 10 per cent rule, being forwarded to the Local Government Commission to make the final decision. If there are no appeals or objections and if the council’s proposals all comply with the 10 per cent rule, the council’s final proposal is implemented for the 2019 elections. Auckland Council has the most complex arrangements in New Zealand, with one governing body and twenty-one local boards. The Governing Body finalised the process for conducting the review in December 2017, following consultation with local boards. The Joint Governance Working Party (“Working Party”) has developed an initial proposal for consideration by the Governing Body. In doing this, all local boards were asked for their feedback and this is attached in Attachment A. The Working Party also received a report by the councillor for theWaitematā and Gulf ward, which is attached as Attachment B. The council has six weeks following the close of submissions to publicly notify its final proposal. Within those six weeks, the Working Party must hear submitters, consider submissions and report its recommendations to the Governing Body, for the Governing Body to resolve its final proposal. Each local board has authorised a person, usually the board’s chairperson, to represent it if further feedback is required during the submission process. a) receive the recommendations of the Joint Governance Working Party as contained in this report, including the feedback from local boards and the report of the councillor for the Waitematā and Gulf Ward. v) the existing communities of interest identified by the Local Government Commission in 2010.
ix) that there is minor under-representation in the Ōrākei and Maungakiekie-Tāmaki wards but that, due to the Rodney ward having non-complying over-representation it is reasonable to allow small under-representation in other parts of Auckland. iv) creating two single-member wards based on the existing boundaries of the Māngere-Ōtāhuhu Local Board and the Ōtara-Papatoetoe Local Board will allow more effective representation of those communities with each ward member having a smaller constituency to support and only one local board to liaise with. iv) the non-compliance is very minor and it is preferable to maintain alignment with local board boundaries to avoid confusing residents and to avoid creating complexities in the administration of elections. iii) the population in the Botany subdivision is continuing to grow and once the non-compliance is more substantial, a future review should investigate all options, including an additional subdivision or additional board members. i) propose that the name of the Great Barrier Local Board is changed to Aotea Great Barrier Local Board to acknowledge the intended re-naming of Great Barrier Island as a result of the settlement with Ngāti Rehua – Ngātiwai ki Aotea. j) propose that all other representation arrangements that were in place for the 2016 elections remain unchanged. k) hold an additional meeting on Thursday 18 October 2018 at 9.30 am to consider the report of the Joint Governance Working Party on submissions and to make the council’s final proposal for public notification. l) delegate to the Joint Governance Working Party the responsibility and power under section 19M (3) of the Local Electoral Act 2001 to hear and consider submissions and to report recommendations to the Governing Body to take into account when making its final proposal. The Act requires all councils to review their representation arrangements at least every six years. The Local Government (Auckland Council) Act 2009 requires Auckland Council to conduct a review of its representation arrangements no earlier than the 2013 elections and no later than September 2018.
public notice of the council’s final proposals within six weeks of the closing date for submissions. if there are objections or appeals, they are forwarded to the Local Government Commission for a decision. the cap on election expenses would increase. The Working Party is not recommending that any wards are increased in size to elect a greaternumber of members. The Manurewa-Papakura ward is over-represented by -10.15 per cent and to comply it needs to expand its boundaries. The ward cannot be expanded southwards as this would take population from the Franklin ward. The Working Party considered two options for expanding the northern boundary. One option moves the boundary on the western side of the motorway northwards from SH20 to Cavendish Drive in the Manukau City Centre. The other option moves the northern boundary on the eastern side of the motorway, currently along the Redoubt Road ridge, northwards. there is a legislative requirement for ward boundaries and local board boundaries to align as far as is practicable. The Working Party recommends the council propose the status quo for the Manurewa-Papakura ward. The matter goes to Public Submissions later this year. Thank you for the reply Lotu very much appreciated. I have submitted dead opposed to the Manukau Ward split on identity and cultural grounds. Seems someone is not happy with the successes Manukau has made under the Super City. I’d like to know how they arrived at the population spread to even out democratic representation. The further south you come, the more voters per household. THEN there’s the burgeoning population growth in Papakura in particular. 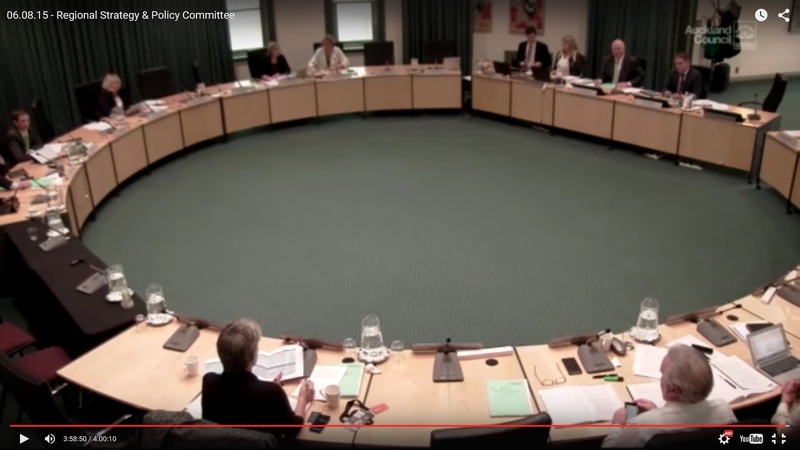 Manurewa residents vastly outnumber Papakura so ward counselors tend be selected by Manurewa. The legislation needs to be changed, just as electoral boundaries need revision to reflect Aucklands growing population.